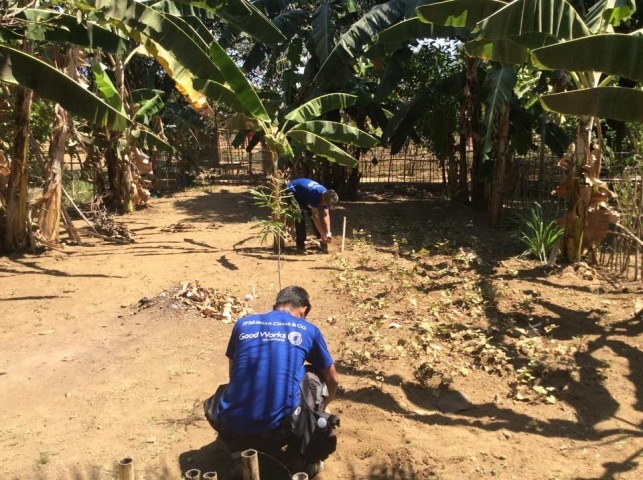 It was a Sunday out of the metro for a good cause as 60 riders of JP Morgan Chase Riders conducted a tree planting activity and an outreach project at ABS-CBN Eco-Village in Iba, Zambales. In partnership with Bantay Kalikasan-Green Initiative, the group planted seedlings of fruit bearing trees such as Marang, and non-fruit bearing trees like Narra, Molave, and Kamagong, which were from the La Mesa Watershed. La Mesa Watershed also provided technical assistance and guidance to the group on how to plant the seedlings. 116 school children who are resettlers from the Mt. Pinatubo eruption were also given school kits and enjoyed the company of the riders as they played games with the little ones. ABS-CBN Eco Village is a resettlement area for Mt. Pinatubo eruption survivors located in Brgy. Palanginan, Iba, Zambales. It also hosts organic farms that have fruit-bearing and hardwood trees, and vegetables. Soon, it will have a bed & breakfast and a training center. To know more about the Eco-Village, contact contact Green Initiative at [email protected].